Detectives with the Criminal Investigation Division, Special Victims Unit, have continued to investigate the allegations related to Thomas Cannon with the ongoing cooperation and assistance of the Bell County District Attorney’s Office, Killeen Independent School District and the Children’s Advocacy Center of Central Texas. On Wednesday, August 2, 2017, the case was presented to the Grand Jury and multiple indictments were issued charging 42 year-old Thomas Cannon, of Salado, with a total of four counts of Aggravated Sexual Assault of a Child and three counts of Indecency of a Child by Contact. Cannon remains in the Bell County Jail with a current bond of $800,000. 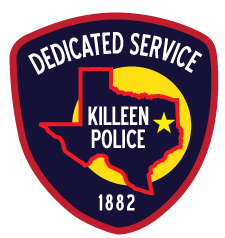 Killeen Police received information on Wednesday, May 10, 2017, that a teacher at the Iduma Elementary School allegedly engaged in inappropriate conduct with a student. Through the investigation, detectives with the Criminal Investigation Division, Special Victims Unit, discovered that a juvenile victim disclosed that their teacher, Mr. Thomas Cannon, had inappropriate physical contact with the student. On Friday, May 12, 2017, this case was reviewed by the Bell County District Attorney’s Office and a complaint was returned charging Thomas Lloyd Cannon with Aggravated Sexual Assault of a Child and Justice of the Peace Claudia Brown issued a warrant for his arrest. Detectives served the warrant and arrested Cannon at 6:49 p.m. He was transported to the Killeen City Jail where he is awaiting arraignment. We would like to thank the Bell County District Attorney’s Office, the Bell County Sheriff’s Office, the Children’s Advocacy Center of Central Texas, Killeen Independent School District, KISD Police Department and the families involved for assisting with this investigation.